I decided to enter into the WordPress Weekly Photo Challenge. This is the photo I chose for the subject ‘Companionable’. 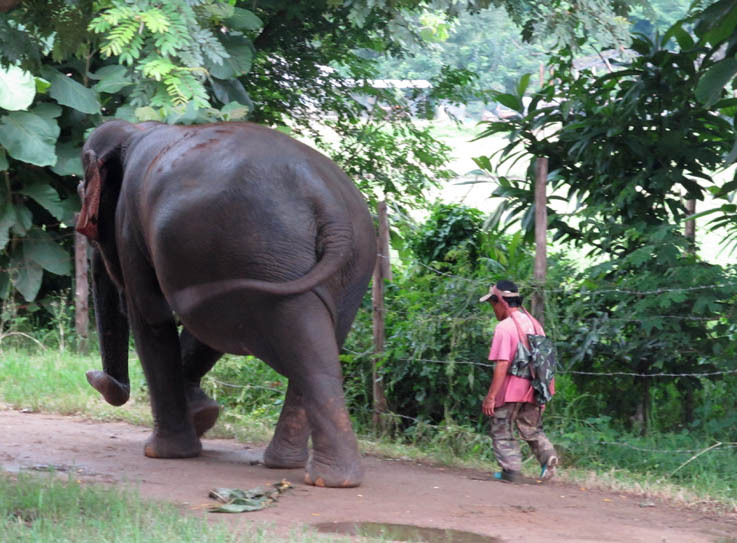 Mong Dee and his elephant friend Sao Yai are great companions, and the love between the two of them is palpable. At 5 foot 2 inches I tower over Mong Dee, one of the smallest men I’ve ever met. And his best friend is a member of the Largest Mammal on Earth Club. 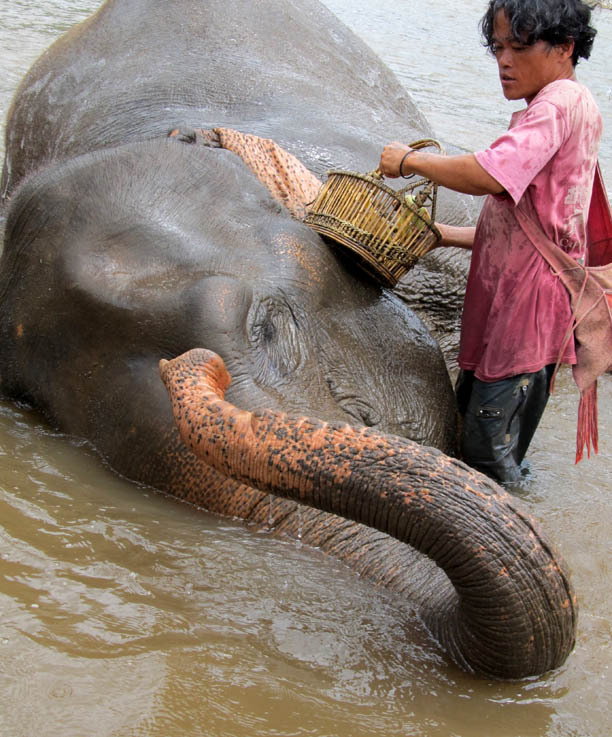 No hooks or other beating implements are allowed at the Elephant Nature Park where these two live – it is a sanctuary in North Thailand where elephants are rescued from unhappy situations and given a beautiful, loving home at the Park, and the elephants are managed with love and positive reinforcement. I volunteered at this sanctuary in 2012, and I intend to go back this year in September. Volunteering there last year was the most unique and privileged experience of all my travels. 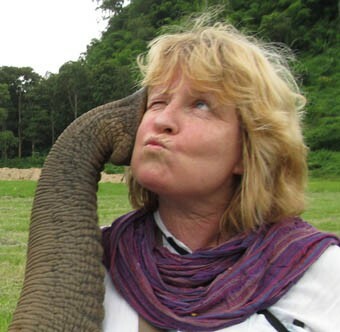 Every day I get an update on Facebook from the Park about the elephants and how they are doing, and every day they are in my thoughts. So from my point of view, the elephants of this Park are the companions of my mind. Hence my choice of photo for this particular subject. This entry was posted in Elephants and tagged postaday. Bookmark the permalink. Yes, lucky me very much! I thought photos of dogs and cats are heartwarming already…this is definitely something else! Love the photos, love the story! This simply touch my heart. Thank you Aian. The park is jam packed full of beautiful stories, and the people there have fought a long, hard struggle – especially the founder Lek Chailert – to make it what it is today. And they’re not stopping there, they have many plans to help more animals and people in other parts of Thailand and in Cambodia. They absolutely blow me away with their achievements. Thanks very much – glad you enjoyed. 🙂 Aren’t they fantastic? I’ve never been quite so inspired as I have by the folks at ENP. And thank God the elephants have somewhere to go where they can finally have peace.